Presentics is refreshingly simple & modern. Traditional apps such as PowerPoint, were designed and intended for desktop computers. They have too many features, clunky to use when comes to multimedia, and are not touch-interactive. On the other hand, Presentics is designed from ground-up for the iPad. It offers a refreshingly simple design and feature set, which makes it look nice, easy to use and time-saving. In fact, you don’t even need to worry about styling — Presentics will automatically turn your slides into ultra-modern style slides. Have you tried embedding video, audio, webpage or PDF in PowerPoint? It’s very clunky. In contrast, Presentics is designed to be as media-friendly as possible. With it, you can attach any media elements to your slides: YouTube video, images, webpages, SoundCloud audio, and even PDF files. Want to show a location? Just insert a Google Maps element. Plus, all these multimedia elements will be shown right inside Presentics without switching apps. That makes your presentation flow better, and look more professional. Presentics lets you drive your presentation. With an unconventional design, Presentics allows you to present your content in several flexible ways. With a single touch gesture, you can jump to any slide in your presentation. Also known as non-linear presentation, this allows you to deliver your points in the best order possible and freely engage with your audience. The overview screen can also be easily used for those impromptu/informal occasions, so you can present anywhere, any time. This is another main area where Presentics is superior over conventional presentation apps. Taking full advantage of the touch screen, Presentics lets your audience see where you are touching on the screen, so you can easily point things out. 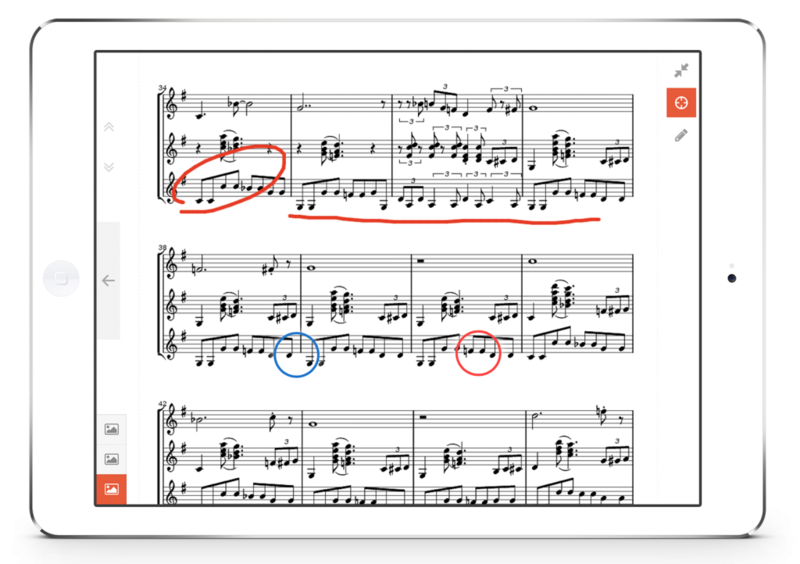 If necessary, you can also draw right on top of your slides, perfect for annotating on graphs or music scores. 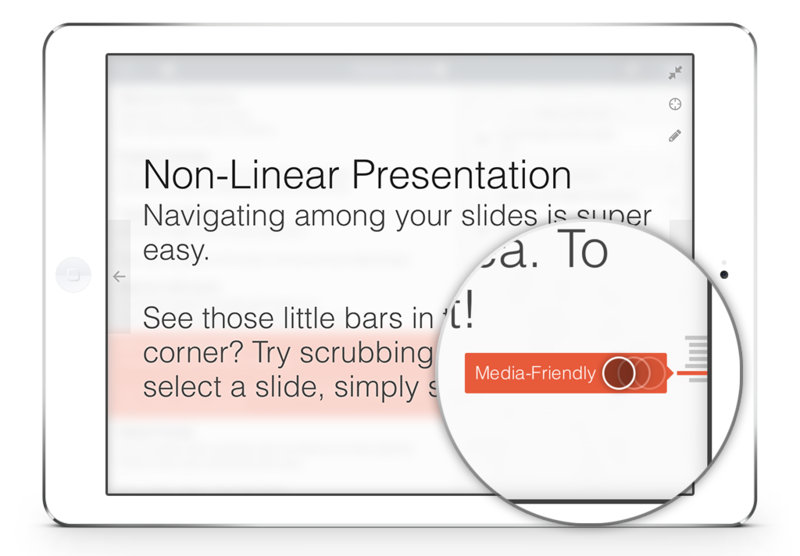 Presentics lets you share slides easily. Sharing your slideshow with your audience is easier than ever. With just a few taps, Presentics will create a web version of your slideshow and make it available online (privately). 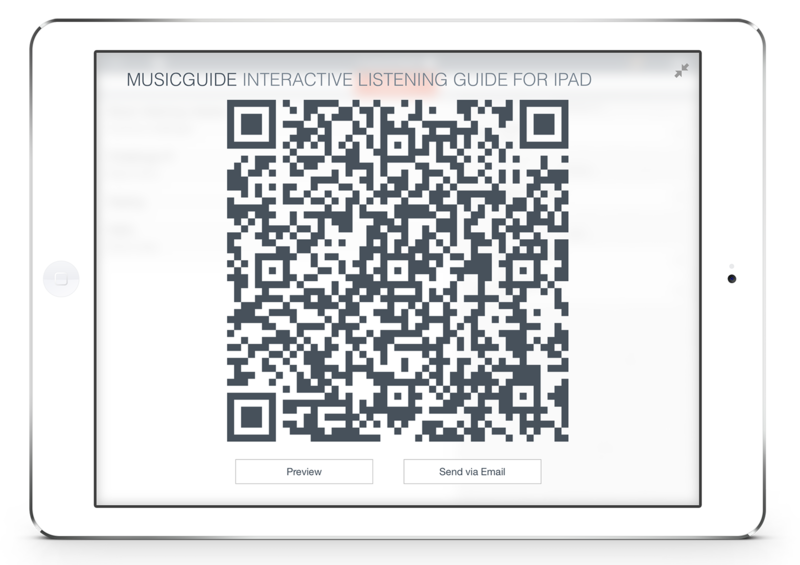 And the link to it will be shown as a large QR code so everyone can access your slideshow by scanning it. Share your slideshows easily with your audiences. So, give Presentics a try today and see how it can improve your presentations. We cannot wait to see what you can come up with.